Steve B. submitted this photo and caption. 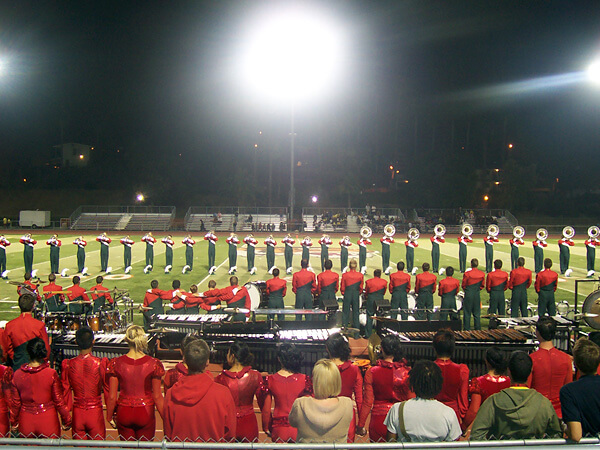 This is a photo of Santa Clara Vanguard at the Riverside, Calif. show this past July. They played the encore. My family was moved by the SCV alums who were around us because they were all in tears singing "Send in the Clowns." Also playing "Danny Boy," they took me back to my corps days in Florida marching with some tiny little corps; the Royal Lancers and the Brassmen of Cape Coral. Drum corps is SO special to me as it takes me back to some of the BEST times in my life. Thanks Vanguard!